All of Kendall Jenner, Gigi Hadid and Cara Delevingne’s $125K to $300K sponsored Instagram posts have, unsurprisingly, paid off. 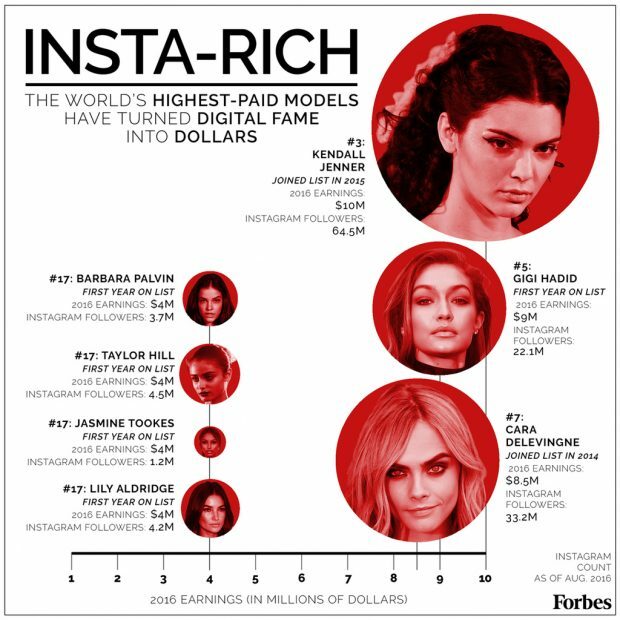 Today, Forbes released its list of the world’s highest-paid models and while Gisele Bündchen managed to retain her top spot even in catwalk retirement, earning $30.5 million, Kendall Jenner, who occupied the number 16 spot just last year, made a dramatic leap to third place. The Vogue cover girl banked $10 million — that’s a 150 percent increase from last year’s paltry $4 million. Meanwhile, Kenny’s style twin Gigi made her Forbes debut in fifth place, earning a cool $9 million. 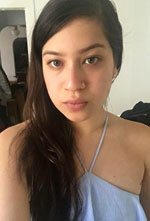 The influx of Insta-cash and breakout models like Lily Aldridge, Jasmine Tookes and 20-year-old Taylor Hill, all of whom have contracts with erstwhile swimwear retailer Victoria’s Secret, shook up this year’s list — nearly a third of the qualifiers are new. While veteran Forbes listmakers Martha Hunt and Josephine Skriver are noticeably absent from this year’s list, 30 percent of the women featured are Angels. No surprise, given the size of their lingerie deals. While the boys vs. girls pay issue gets turned on its head in the modeling world — Forbes doesn’t even bother making a male model earnings list, since the guys rarely break $1.5 million — the trend of exclusion holds strong. Joan Smalls, Jasmine Tookes and Liu Wen were the only models of color to make the list, with nary an aged, transgender or plus-size model in sight. (Even our beloved Ashley Graham, with her America’s Next Top Model-lined pockets, couldn’t manage a seat at the baller’s table.) Even if the industry’s top earnings aren’t making their big bucks on the catwalks (cosmetics and fragrance deals account for most of their earnings), they still, for the most part, conform to the established runway ideal: white, straight-sized, cisgender. (For more on the fraught issue of runway diversity, you may consult our season-by-season breakdowns.) Two thumbs up for Kendall, Gigi and the rest, two thumbs way down for the systemic lack of inclusion that compromises the hustle of their equally talented peers.